If you’re eager to inject more life and luxury into your kitchen, a quartz countertop is the perfect addition. 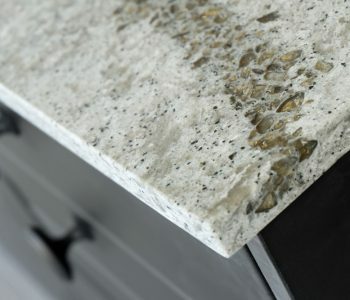 Quartz is a natural material that is durable, versatile and striking in any kitchen or bathroom design. You can also find quartz offered in a variety of different colours to match your style. And, with that clean, polished finish, your new countertops are guaranteed to make your kitchen look more expensive at a fraction of the cost compared to other materials. To help your new countertops pop, here are some tips to make your quartz your focal point. It’s hard to really notice a countertop when it’s covered in dishes, food stains and other random items from cooking dinner or breakfast. So make sure to keep it clean. Spend a few moments after prepping and cooking your meals to give it a good wipe with a little soap and water to remove any stains and to keep that glossy finish shining. That way, when you or your guests walk into your kitchen, you can’t help but notice it. Another important tip for getting your quartz to stand out in your kitchen design is to keep it as clear as possible. A cluttered surface never looks good, no matter what area of the home you’re focusing on. So if you have a big slab of quartz in your kitchen, don’t start piling on the fruit bowls and vases. Keep it simple by placing one or two items on it. This material is eye-catching all on its own, and clutter will only detract from it. 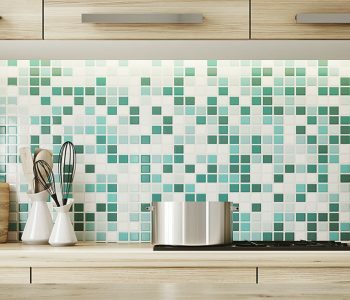 Eye-catching light fixtures are more popular than ever in home interior designs – and that’s especially true when it comes to the kitchen. If you have a kitchen island, installing a unique light fixture that appeals to your décor and style, can add the perfect finishing touch to help draws the eyes towards the countertops, making the whole design pop. Additionally, you could also pair a set of modern, stylish kitchen stools for your kitchen island. But don’t just go for any old stools. There are so many unique designs that you can choose from today. So spend some time shopping around to find the right ones that will accentuate your kitchen design and quartz. At Granstone, we are the quartz, marble and granite experts in Ottawa. We offer an exceptional product selection and quality craftsmanship that we’re proud to stand behind. Contact us today with any inquiries for your kitchen or bathroom design. Quartz and Quartzite — What’s the Difference?